Advice for buying a home: ignore the peanut gallery! Among all the other challenges of purchasing a home, today’s buyer often has an added burden: the advice of friends, co-workers and family. (d) That banks/sellers are sooo desperate to sell. I recall a first-time homebuyer with whom I was working deciding to withdraw his offer on a property that did meet his criteria for location and amenities and price point. Why? His co-workers thought he should be able to get a ‘bargain-basement’ price. He told me, “I don’t want to look like a fool paying too much money for this place.” So he let it go… and, he still has not found his perfect home in combination with his perfect price scenario. Or at least, the price that his co-workers insist he ‘should’ be able to get. Nothing is ever ‘simple’ that is meaningful…. including purchasing a home. The simplicity of advice from someone who reads a headline, but has no idea of the real market dynamics you face, is a typical example of that. Upside down sellers who find it impossible to consider a low-ball offer because they owe so much more on their properties than the current market value. What to do? Research your market area well and consult a knowledgeable source for your information. Remember that ‘the market’ is an ever changing situation, and that few if any ‘rules’ consistently apply. Then move ahead. This moment in time continues to be an incredible opportunity for buyers – prices are becoming increasingly more ‘reasonable’ and interest rates are low. Now is the moment. Ignore the peanut gallery. Amen to that. While they mean well, friends and family can unknowingly sabotage a deal before it gets moving. Good post. Great point, thanks for sharing. I run into this regularly in Charleston SC, everyone seems to be a real estate expert these days. With interest rates so low and so many homes to choose from there has never been a better time to buy a home. I find that after a buyer lists all of the features they are want in a home the list of available homes quickly gets pretty short. Even in this slow market the good homes can get snapped up quickly. Getting input from friends and family is always important but in the end it is really the buyer’s decision. 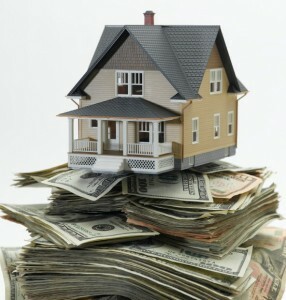 Buying a home is generally one of the largest financial decisions a person will ever make. Put a “buyer’s agent” to work and have the benefit of an experienced professional on your side. Your buyer’s agent is your advocate, your advisor, your negotiator, and your confidante throughout the buying process. So true!! The way I combat this is to mention it up front as something they will definetely run into. Then when they tell me the peanut gallery is in full force, I remind them that THEY know more about this market from our research and looking at homes than anyone else and they need to be confident about that. I say if they are not, we have more work to do. That almost always works! … thanks Linda! Great point, and one that I will remember to use.